There is something to be said about the Fiat 500X when you’re looking for a small and active SUV that can offer you the quality driving experience you’re looking for. This small SUV is one that allows you to have a dynamic look and feel while enjoying the active drive of a small vehicle and the interior that can carry the cargo you need to take with you out on the roads you want to travel. This vehicle can be right for you with the lease offers available to you so that you can enjoy the ride in Sunrise, FL. Check out the sporty and attractive look of the Fiat 500X and let it become the one that will offer you the drive you’re looking for when you take a ride. This vehicle has the look that’s similar to the smaller models in this lineup to be an attractive compact crossover SUV that will certainly allow you to have what you’re looking for. 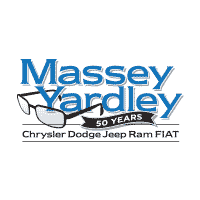 Come in and see the team at Massey Yardley Chrysler Dodge Jeep Ram Fiat in Plantation, FL where you can take advantage of the lease offers you want which will make this the right vehicle for you to drive on the roads in Sunrise, FL. With three different trims offered for the Fiat 500X, you’ll have two different engines you can choose for the ride you want on the road to enjoy the drive. The Pop model starts with the 1.4-liter turbocharged four-cylinder engine that gives you 160 horsepower and 184 lb.-ft. of torque. This engine is attached to a six-speed manual transmission to give you 25 city/33 hwy mpg. Check out the lease offers for this version to have the vehicle you want to drive in Sunrise, FL. The Trek and Lounge models of the Fiat 500X offer the upgraded engine as standard fare, while this engine is an option for the Pop trim. This powertrain begins with the 2.4-liter four-cylinder engine that offers you 180 horsepower and 175 lb.-ft. of torque. This engine is attached to a nine-speed automatic transmission to give you the shifting you want and the quality drive you need. This powertrain can be had in FWD or AWD and can be right for you when you see the lease offers that you can take advantage of so that you can enjoy the drive in Sunrise, FL. The Fiat 500X is one of the most interesting vehicles on the market and the team at Massey Yardley Chrysler Dodge Jeep Ram Fiat in Plantation, FL has the lease offers you want to take advantage of. Come in and see this team today to see what they have for you so that you can begin to experience what this small SUV has for you on the roads around Sunrise, FL. This SUV is one that brings more of what you’re looking for to give you the ride and qualities you will admire and enjoy on the road.